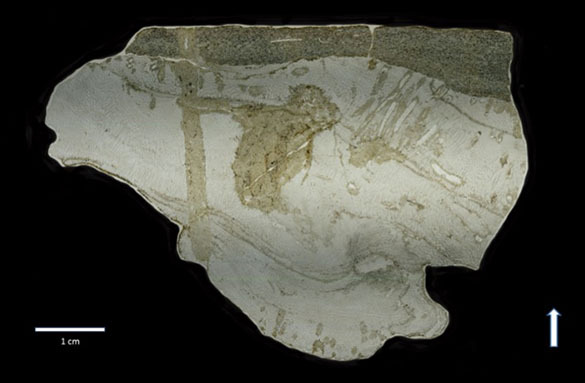 This week’s fossils were the subject of a presentation at the 2015 Larwood Symposium of the International Bryozoology Association in Thurso, Scotland, last month. 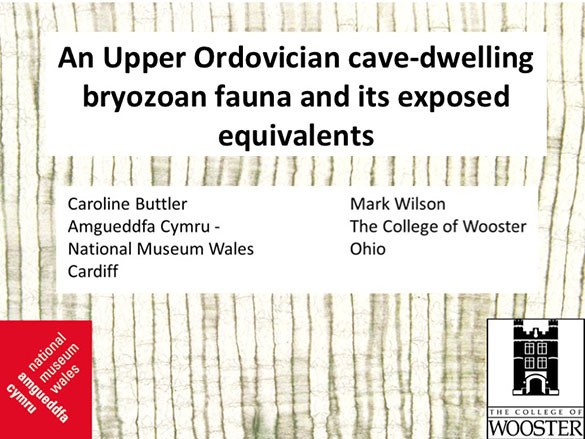 Caroline Buttler, Head of Palaeontology at the National Museum Wales, Cardiff, brilliantly gave our talk describing cryptic-and-exposed trepostome bryozoans and their friends in an Upper Ordovician assemblage I found years ago in northern Kentucky. 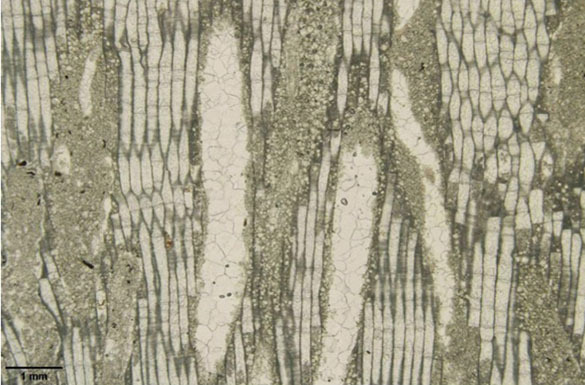 They were the subject of an earlier Fossil of the Week post, but Caroline did so much fine work with new thin sections and ideas that they deserve another shot at glory. 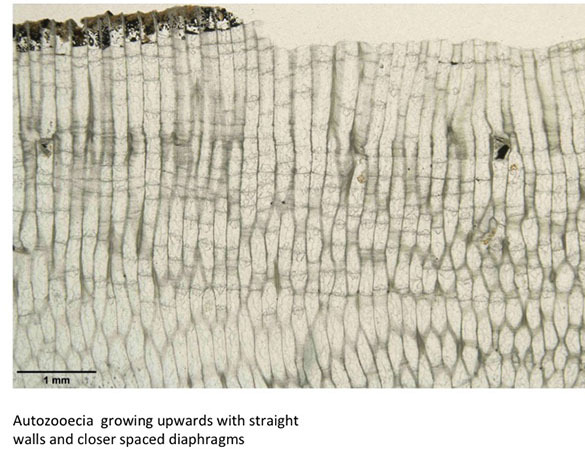 We are now working on a paper about these bryozoans and their borings. 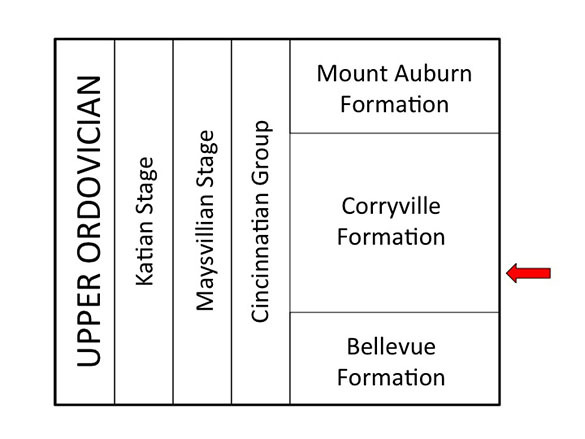 Below you will find the abstract of the talk and a few key slides to tell the story. 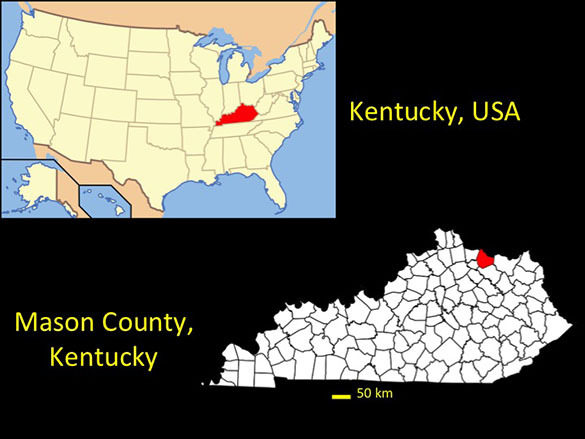 Trepostome bryozoans have been found as part of an ancient cave fauna in rocks of the Upper Ordovician (Caradoc) Corryville Formation exposed near Washington, Mason County, Kentucky. 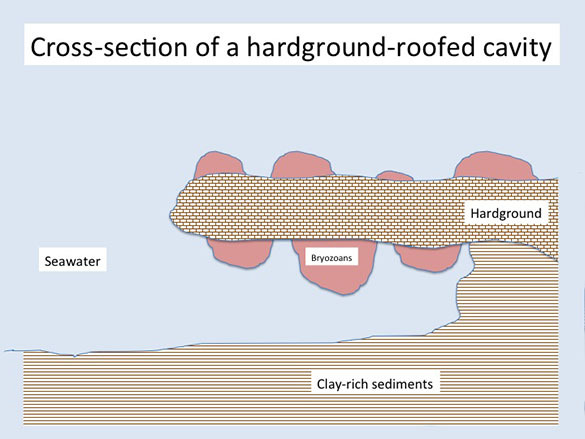 Bryozoans are recognized as growing from the ceiling of the cave and also from an exposed hardground surface above the cave. Multiple colonies are found overgrowing one another and the majority are identified as Stigmatella personata. 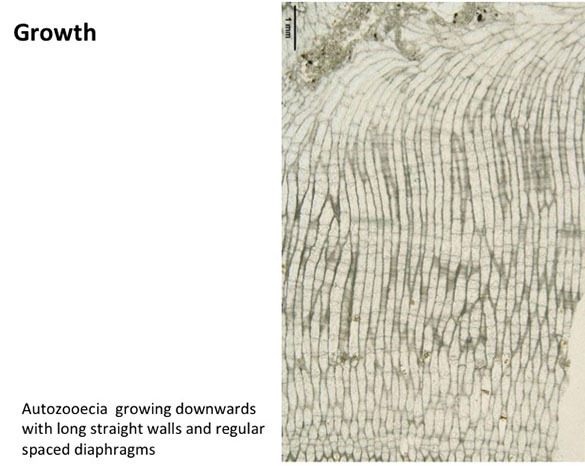 Differences between those growing upwards and those growing down from the roof have been detected in the limited samples. The colonies have been extensively bored, these borings are straight and cylindrical. 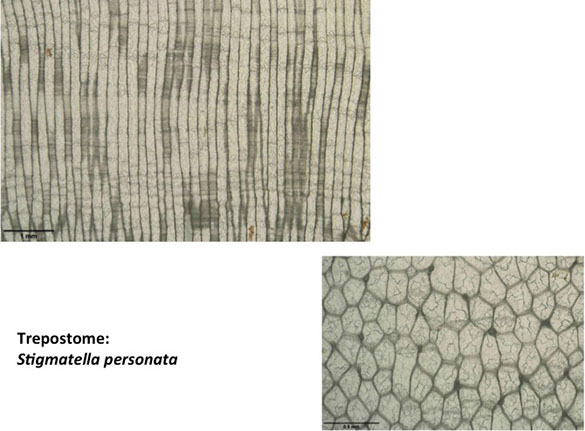 They are identified as Trypanites and two types are recognised. A smaller variety is confined within one colony overgrowth and infilled with micrite. 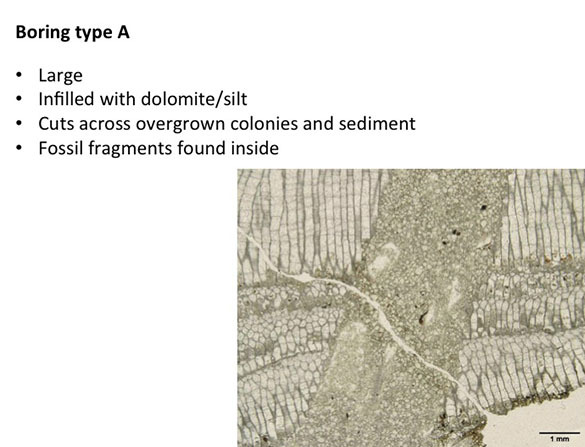 In thin section it is observed that the borings follow the lines of autozooecial walls and do not cut across. 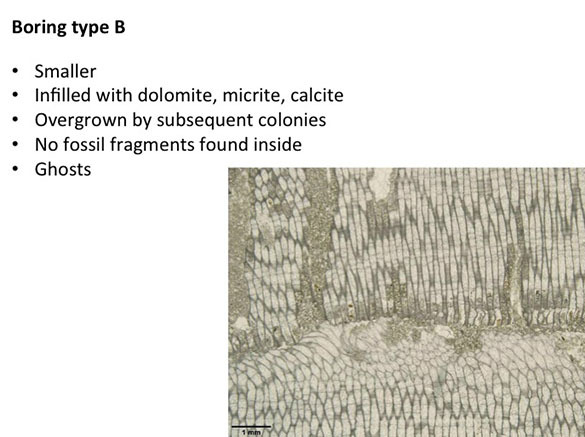 This creates a polygonal sided boring, suggesting that the colonies were not filled with calcite at the time of the boring. 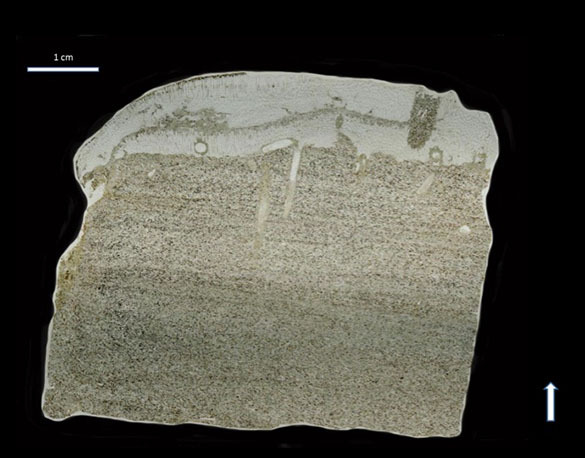 The second variety has a larger tube size and its infilling sediment has numerous dolomite rhombs and some larger fossil fragments including cryptostomes, shell and echinoderm pieces. These cut through several layers of overgrowing bryozoans. 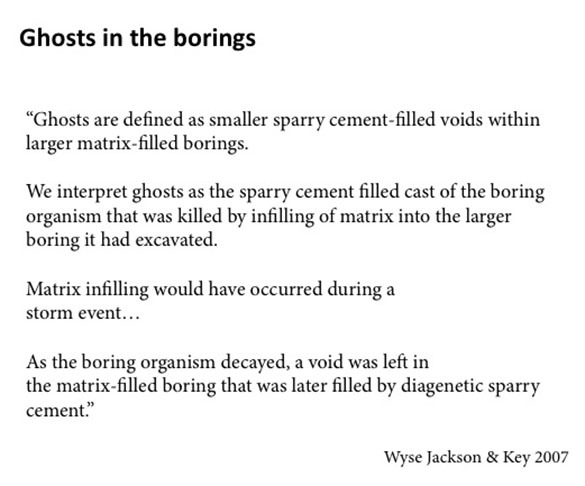 Some of the borings contain cylindrical tubes of calcite similar to the ‘ghosts’ of organic material described by Wyse Jackson & Key (2007). 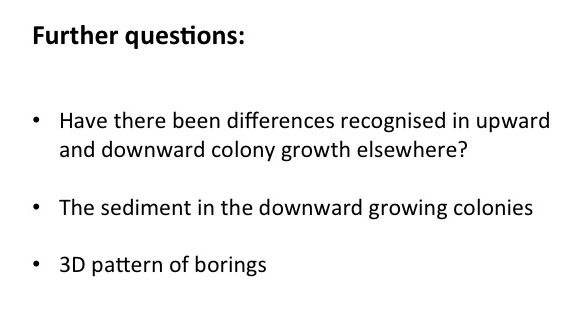 Very localised changes in direction of colony growth due to an environmental effect are seen. 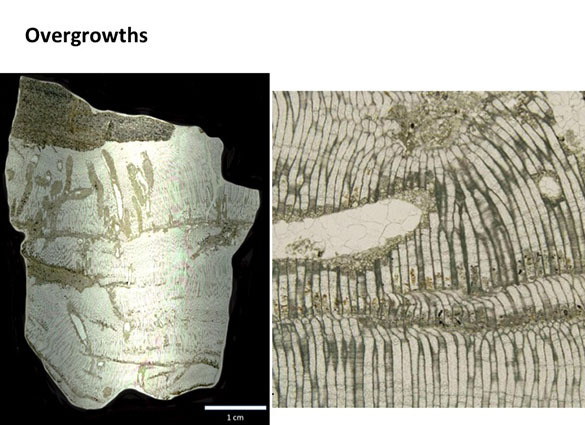 Bioclaustration in these samples provides evidence for fouling of the colony surface, indicating that the bryozoans overgrew unknown soft-bodied organisms. Wyse Jackson, P. N., and M. M. Key, Jr. (2007). 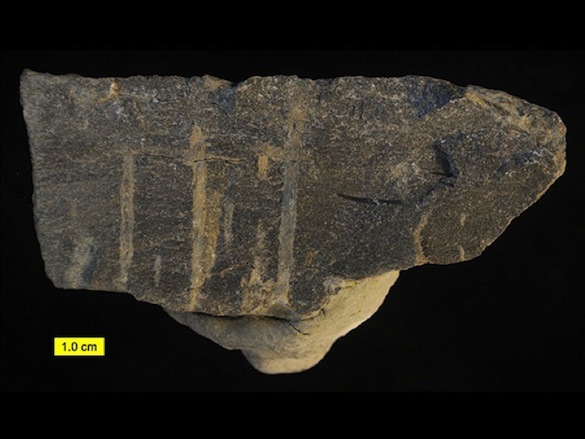 Borings in trepostome bryozoans from the Ordovician of Estonia: two ichnogenera produced by a single maker, a case of host morphology control. Lethaia. 40: 237-252.